What do you prefer? A combination of different dining chairs or a matching set? The answers varied for sure, but the majority seemed to love a mix. Personally, I think there’s a place for both and it definitely depends on your space, but I do love it when you have an opportunity to mix up the side chairs and head chairs. I think it can give a dining room a little more of a “collected” look and definitely brings in some extra visual interest. There’s really no wrong answer, but since so many folks loved the idea of mixing and matching their dining room chairs, I thought I’d dig into that a little bit today! I’ve got some stellar examples of this done well, a few rules of thumb to keep in mind if you want to bring the look into your own home, as well as give you eight different combos to get you wheels turning! Let’s get started with three beautiful combos in real dining rooms and I’ll share some thoughts on why I think they work well! I wanted to make sure I brought in some different decorating styles so you can see how it would work in everything from a coastal-inspired dining room to a Scandinavian modern space to an eclectic dining room. Scroll on down to see the examples! We’ll kick it off with this lovely combo of natural wood and woven chairs from McGee & Co. This coastal-inspired dining room is gorgeous, isn’t it? These chairs pair well together for a couple of reasons - first, the wood tones are very similar and second, the shapes complement one another, but are distinctive. They both have some curves to them, but the side chairs have a much simpler design compared to the woven head chairs. Scandinavian meets modern minimalist in this pretty dining space. This example shows you how two seemingly very different dining chairs can work together in a really nice way due to their similar heights and scale. The leather head chairs anchor each end and the black Windsor-style ones feel light and airy along the sides. Because your eye goes straight across the tops of all of them at once, this allows the combo to feel cohesive even with the high contrast. Like the first example, both have some curved elements to them that helps unite them as well. Another option is to go with chairs that have completely different styles like in this eclectic dining room from Juniper Home. But if you look closely, they actually have more in common than you might think. Both the leather strap head chairs and Eiffel-style chairs have a modern element to them, they have similar heights (again! ), and the wood tones on the legs are similar. A bonus is that that wood tone is echoed in that crazy cool chandelier above the dining table - that repetitive aspect really brings the whole room together beautifully. Make sure the chairs are distinctive enough from each other so that the combination looks intentionally different, but cohesive. 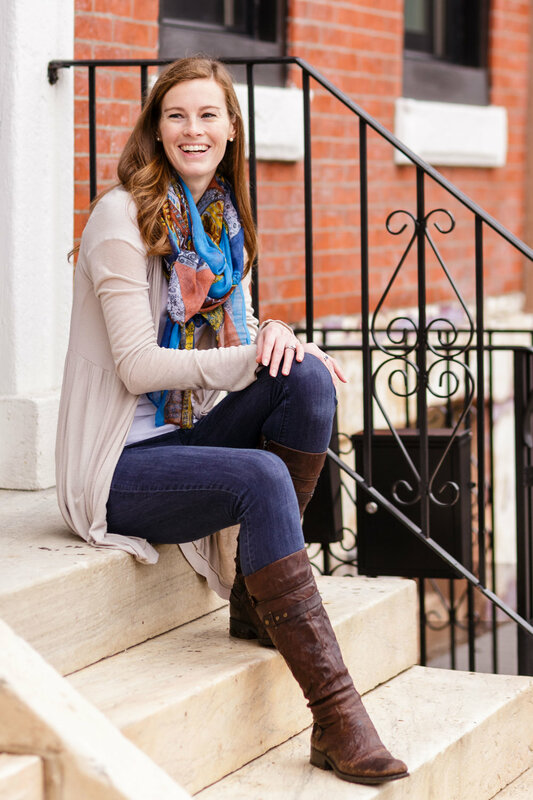 Don’t be afraid to mix up the colors and add contrast! Traditionally, head chairs have arms and side chairs don’t, but this is one “rule” you can definitely break if you want. 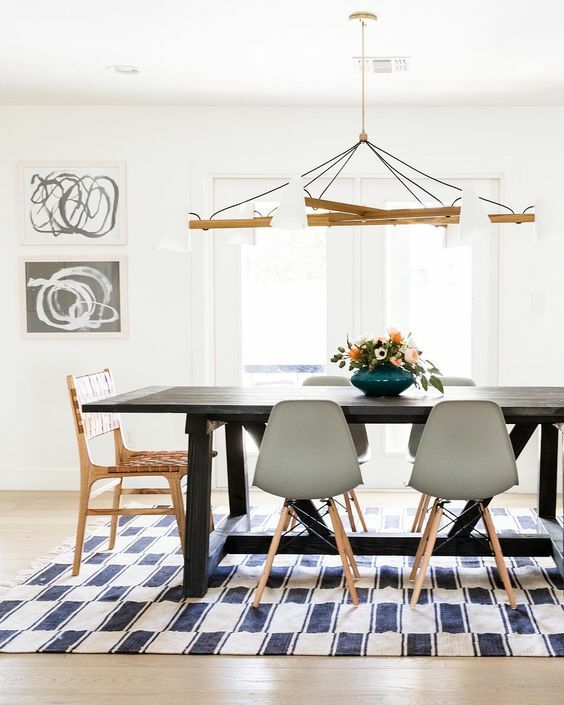 Pairing a light and airy chair with a “heavier” one (see the combo below on the top right as an example) is a great way to create balance in a dining room. So with that inspiration and a few tips in mind, let’s jump on down to my real-life combos! You’ll find a variety of different styles and price-points with the dining chairs I found. Below the graphic, you’ll see the links to each of them as well as an option to scroll through a “shop the post” bar! If you’re on a feed reader or getting this in your inbox, you’ll want to head to the full site to see the latter option. What do you think? 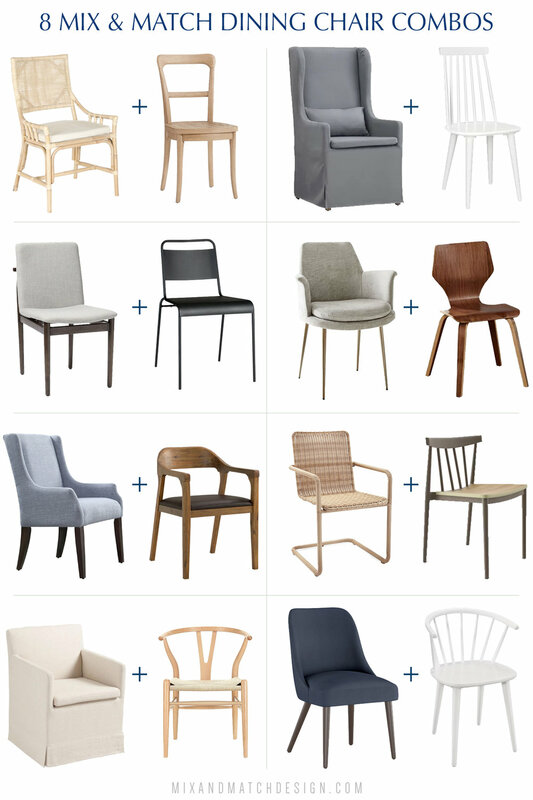 Does one of these dining chair combos look like something you’d put in your dining room?